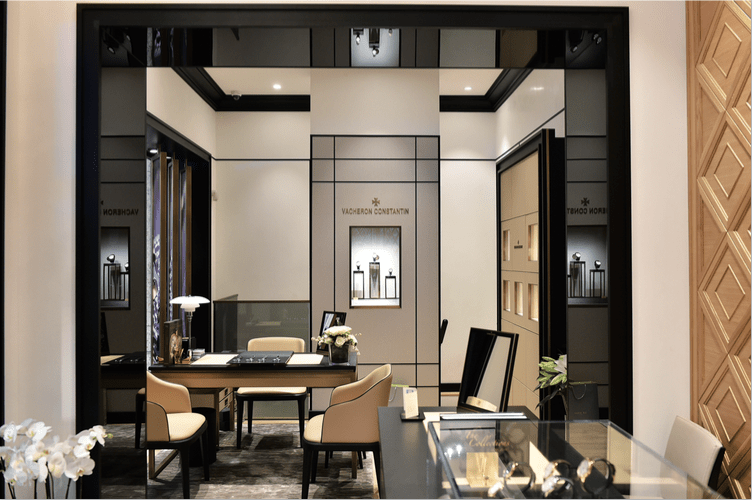 Though the Vacheron Constantin boutique just opened in Beirut in September 2016, the luxury watchmaker is by no means new to Lebanon. In fact, Vacheron began shipping watches from Geneva across the Mediterranean in 1890 for local clients and merchants. Coincidentally, exactly 100 years later in 1990, Vacheron Constantin partnered with current local distributor Cadrans. History is important to Vacheron, which has a great deal of it. Not only does it claim to be the world’s oldest watchmaker in continuous production, passing on skills of the trade since 1755, but it also offers to repair and maintain watches that are hundreds of years old thanks to their archives of drawings and data on past models. CEO Juan-Carlos Torres reveals that they will soon open a space for restored vintage watches in Geneva as well. For their 260th anniversary last year, the brand released its most complicated watch to date, a one-off piece containing 57 complications. Made especially for an anonymous, but very loyal client who had asked for it years prior, it took eight years to develop with a team led by three expert watchmakers. Torres won’t reveal the name of the client but coyly says its price ranged between $1 million to $20 million. This particular watch collector wanted to bring back the trend of famous 20th century aficionados like James Ward Packard and John D. Rockefeller, who regularly commissioned haute horlogerie manufacturers to make unique pieces, spurring a lot of competition between brands trying to outdo each other, and ultimately helping the industry evolve, explains Torres. Today, evolution is as important as ever, but it’s changing forms. While the technology inside watches is vital, there’s also a lot of emphasis on convenience, comfort and design. This year Vacheron Constantin launched the third evolution of its Overseas collection. One practical feature in the collection’s watches is a small adjustment link that loosens the watch just enough to accommodate hot weather and slight swelling of the wrist. Also, for the first time in high watchmaking, Vacheron introduced three interchangeable bracelets: steel, leather and rubber. It has taken mechanical watches quite some time to catch up with a trend that’s been available for budget timepieces for years, but they’ve executed it beautifully. The same watch changes completely with each strap, going from sporty in steel, to dapper and elegant with the leather option and sturdy and industrial with the rubber alternative. The straps don’t require any tools to switch and can be done easily by the wearer. Of course the new Overseas collection also has new movements and impressive internal features. Torres says one of Vacheron’s strengths is its sincerity to customers. In order to gain their trust, he says, “we are loyal to quality, to our customers, to history and tradition. The most important thing for the brand is not necessarily to have the best products, but to never lie and to be authentic,” he stresses. Part of this is being transparent about limited collections, and when re-launching new series, making sure they are totally different. “Never treat the customer as an idiot. It’s respecting the rules,” he says. According to Torres, the brand is growing around the world, especially in China. In the US, Vacheron is popular because it’s not as common as other luxury watches, and clients value being different. However, he points out that Vacheron is not strong not enough in Lebanon. “Lebanon has an important number of collectors. It’s incredible how many collectors are either living in Lebanon, or are Lebanese living abroad,” he says, adding that the country has huge potential and a long shared history with the brand – hence the new boutique. Torres recalls standing on Foch Street in downtown Beirut, where the boutique now is, in May 2015, singling out the specific location as the one he wanted for the store. Just over a year later, after some negotiations and a lot of hard work, the boutique is up and running – fast by any standards. 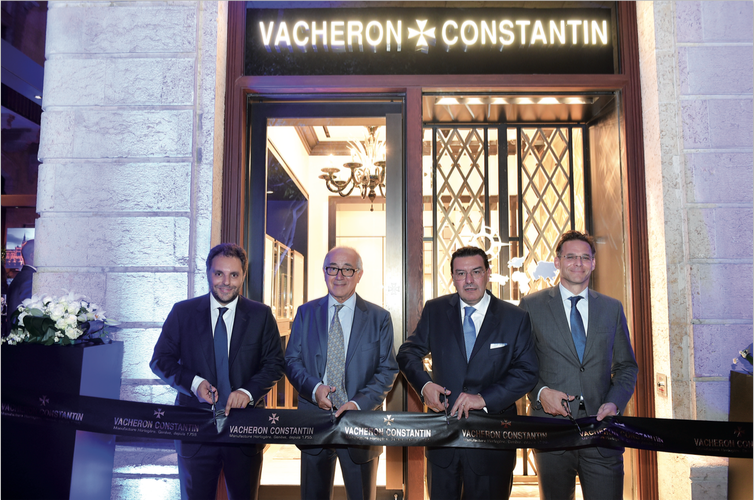 Vacheron Constantin’s entire collection is available in the new single-brand boutique and as a thank you to Lebanese partner Cadrans, on the occasion of the opening, Beirut’s shop became the first store in the world to carry the whole Overseas collection before it launched in full everywhere else.